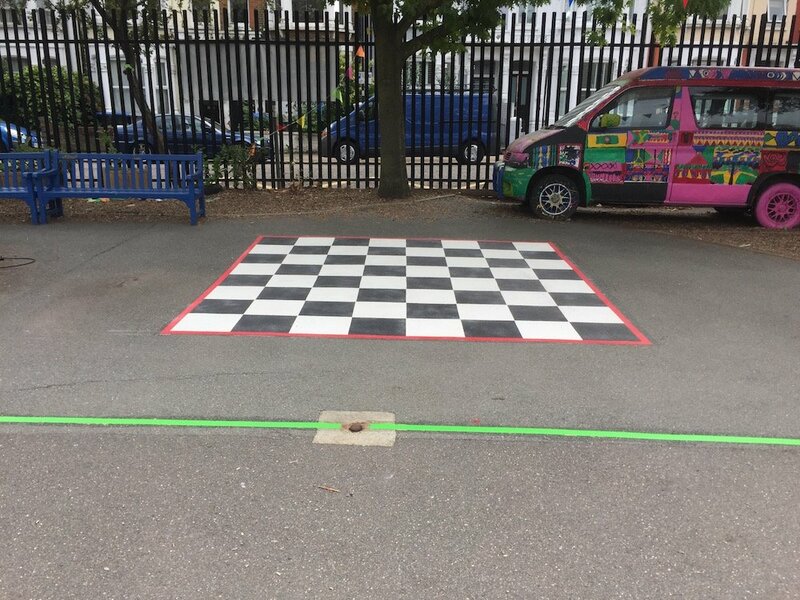 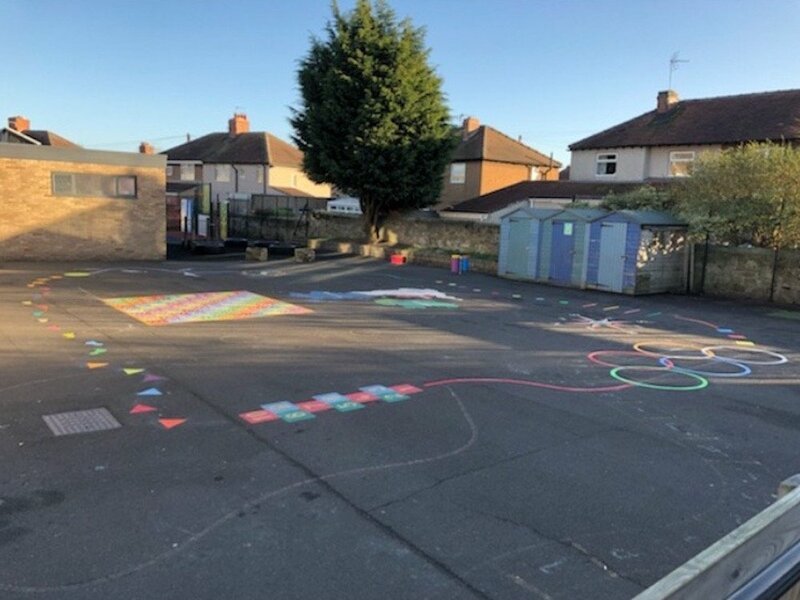 Our installation team travelled from our office in Gateshead to Rickleton Primary School in Washington to install a range of vibrant new playground markings. 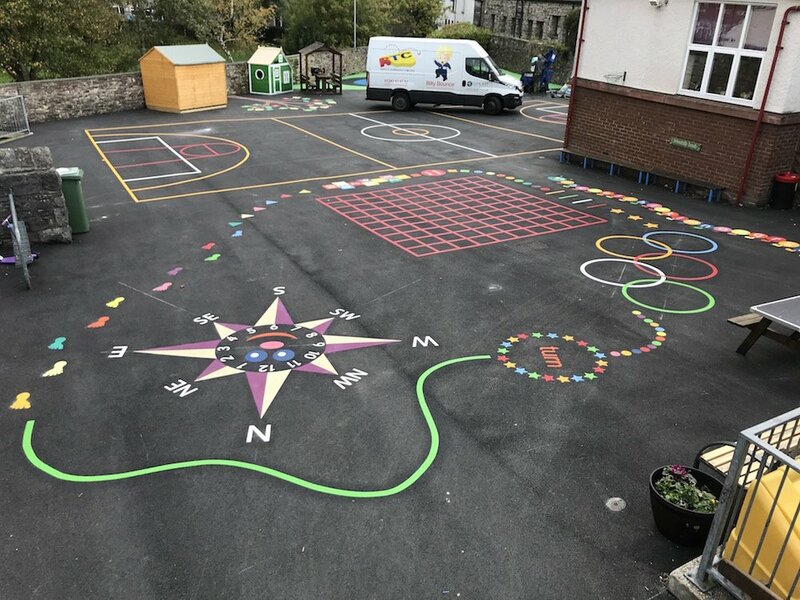 Our installation team travelled down the road from our office in Gateshead to Washington to install a range of vibrant new playground markings for Rickleton Primary School. 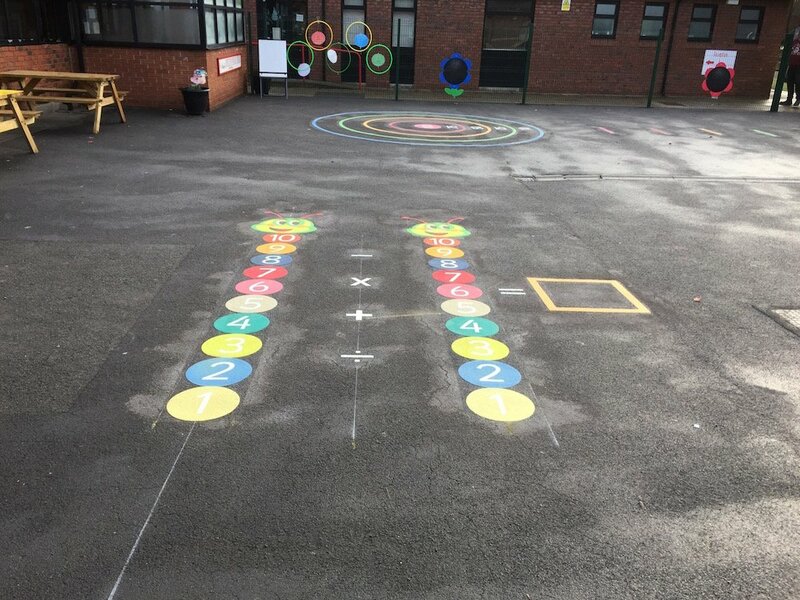 These markings consisted of a Target Throw and Calculating Caterpillars. 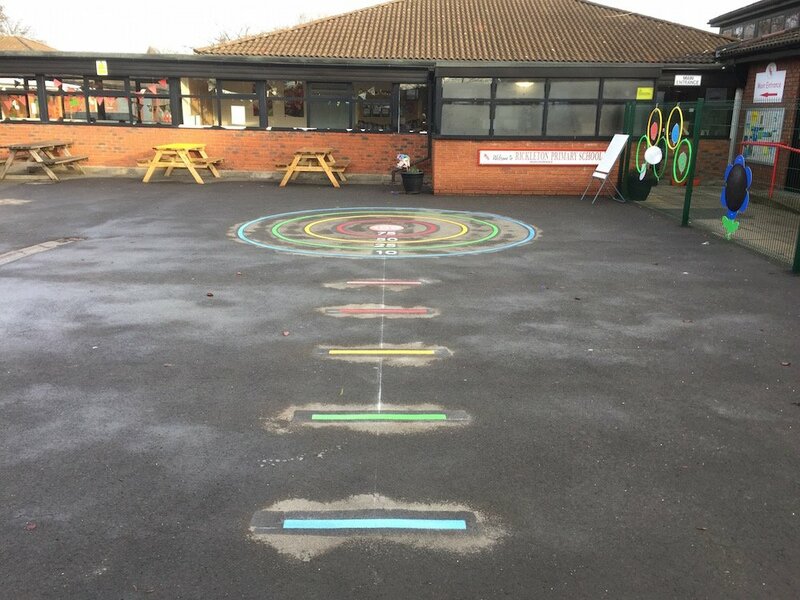 Firstly the team installed this Target Throw. 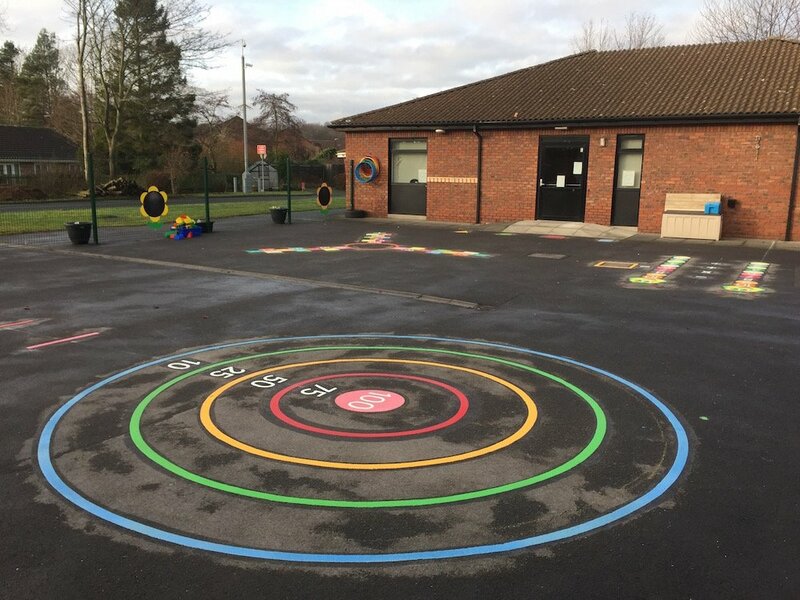 Children stand behind various lines and throw bean bags onto the circular target. 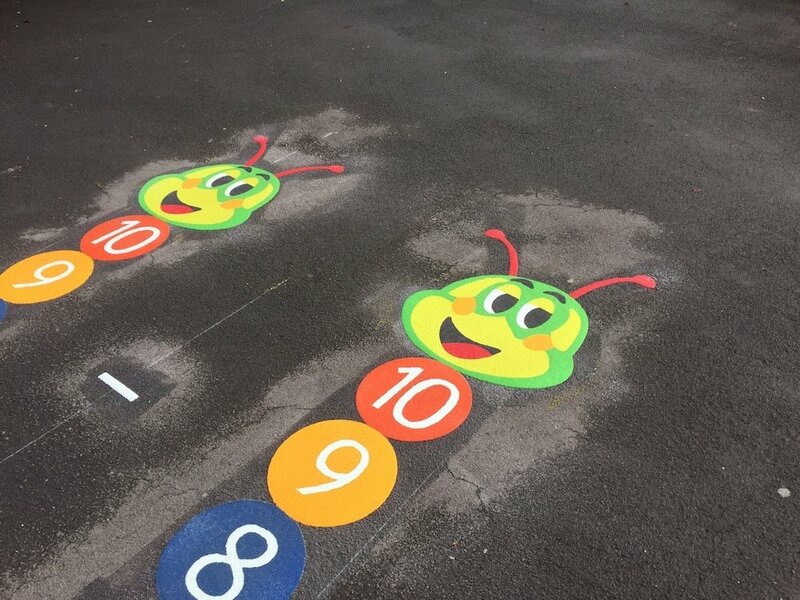 Next, the team took to installing these Calculating Caterpillars. 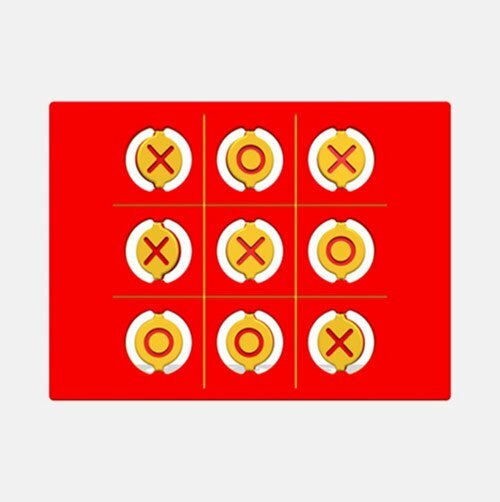 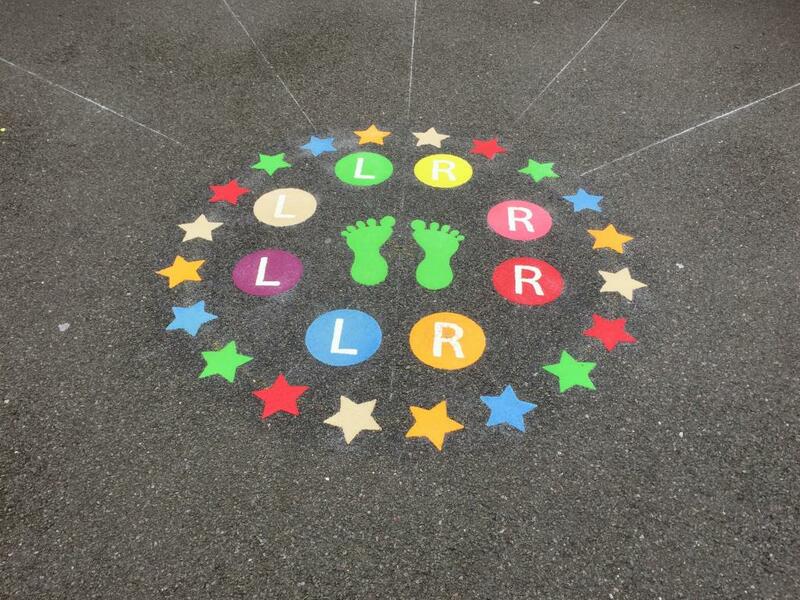 A great, colourful and fun teaching aid for children of all ages. 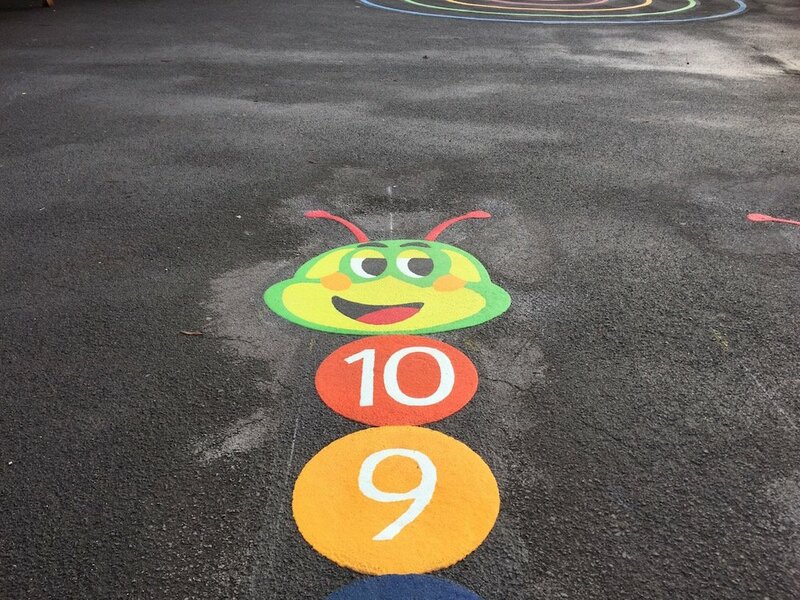 The Calculating Caterpillars helps children with adding, subtracting, multiplying and dividing, whilst having fun. 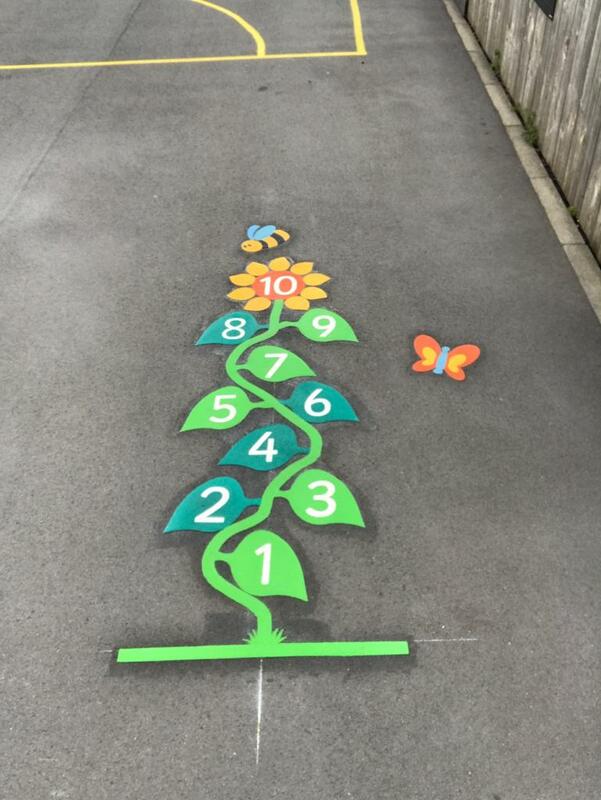 The children are given a sum by the teacher, then run from the first caterpillar to the next. 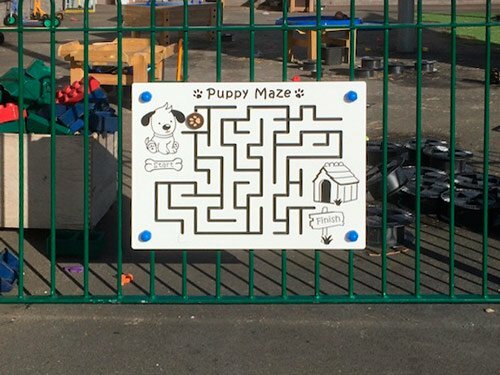 When they have worked out the answer they jump into the box and shout out the correct answer. 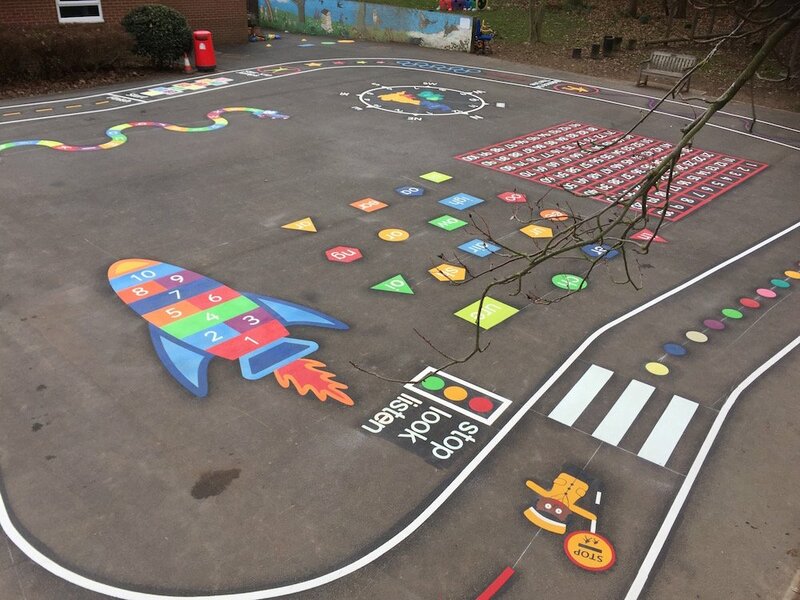 Rickleton Primary School were very pleased with the final product and are keen to have more markings installed.